What is the cheapest funeral service you offer? Our direct cremations are non-attended and cost £1,395 all-inclusive. What is a direct cremation or burial? A direct funeral is a simple non-attended service for people who do not want the fuss of a traditional service. It can be a burial or cremation. In England and Wales, the death should be registered in the area closest to where the death occurred. Although there is a facility to attend your local registrar’s office if you prefer, this is called ‘registration by declaration’. In Scotland, you can register at the place of death or the normal residence providing that both are in the country. What are green funerals and woodland burials? Woodland and green burials are a common preferred method to a conventional funeral service. This type of service is offered at ISCA Funerals and involves simplistic and natural burial plots with nothing hazardous to harm the green areas. Can I attend the cremation or burial service? No. A direct funeral excludes mourners but we can also arrange a simple service with music and tributes that you can attend for a thrifty price. Please call for a price. Where will the cremation or burial take place? In order to keep our prices to you as low as possible, we choose the location and time of the cremation service. Can I visit the loved ones in the chapel of rest? No. A direct cremation excludes any viewings. You may, however, wish to view your loved one in hospital before we collect them. Can I have the ashes back? Yes. We can collect the cremated remains and hold them for you to collect from our premises or we can arrange to deliver them to you for an additional fee. Alternatively, they can be scattered at the crematorium. Disbursements are third party costs paid on your behalf. They include the cremation fee and doctor’s medical fees. Why do you charge extra to collect from a residential address or nursing home? It is necessary to arrange for a doctor to examine the loved one after death in order to be able to complete the necessary cremation forms. They are unable to do this if we relocate the loved one to premises outside of their area. For this reason, we may need to employ a local third party funeral director to make the initial collection and they will charge a fee for this. Why do you charge extra for very tall or bariatric (obese patients)? We endeavour to keep our costs to a minimum. Our cost includes a coffin from within the range of standard sizes. If an outsized coffin is required this will need to be made and purchased separately and we must pass on a fee to reflect this. Why do you require payment before a date can be set for the funeral? Attempting to collect overdue payments can incur considerable cost for all parties. We prefer to reward prompt payment with a low-cost service. Are you members of a trade body? Yes. 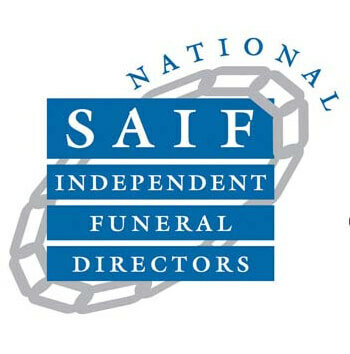 We are members of the National Association of Funeral Directors and we agree to abide by their code of conduct and standards. 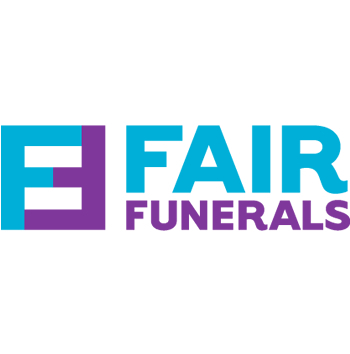 Our premises and systems are inspected by the NAFD and we subscribe to the Funeral Arbitration Scheme. Can I choose who I speak with? While all of our team members are extremely experienced and work to the very highest standards, we understand that some people would prefer talking with a female member of staff. What are ISCA Funerals’ opening hours? We are available to talk 24 hours a day via 01392 427555. We want to offer our clients a personable and supportive helpline whenever they need us. We offer funerals to the South West. Although we are based in Exeter, we work within a number of destinations to ensure that we can spread our low-cost services across Exeter, Taunton, Bristol, Bath, Weymouth, Southampton, Bournemouth and Poole.